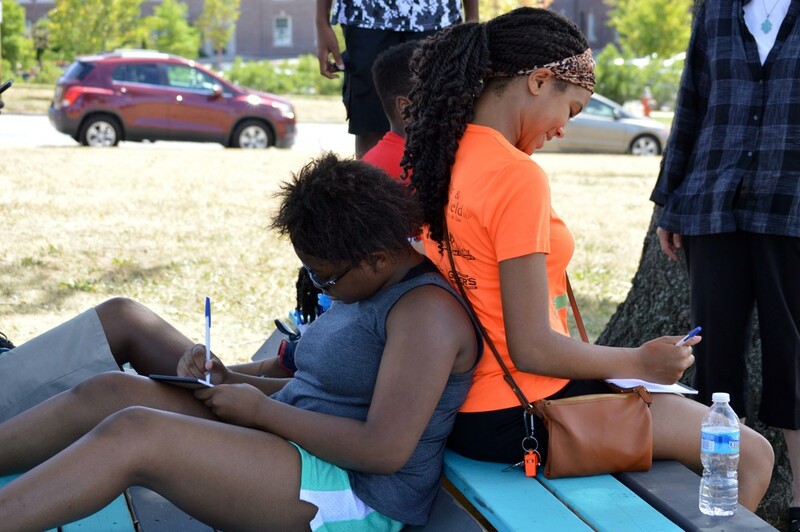 The MOOS program started in Cleveland’s Buckeye neighborhood in January 2015 at our first project site on Britt Oval, an open space across the street from St. Luke's Pointe. Once a vacant hospital building, St. Luke's Pointe is now home to numerous community organizations, a 72-apartment senior housing facility, and an inter-generational playscape. The students have lots of opportunities to see how diverse user groups at this active and multi-generational site respond to their designs for both temporary and permanent projects, making it a great home base for the Buckeye MOOS crew. In addition to improvements on the Britt Oval green space and the inter-generational playscape, so far students have worked on designs for pedestrian crosswalks, neighborhood wayfinding, transit waiting environments, and public art installations. Student design work has even helped to guide future investments in their neighborhood, as with Britt Oval where their projects and ideas have been incorporated into formal plans for the future of this open space. 2019 will be the fifth year the MOOS crew is building in the Buckeye neighborhood, expanding this year to engage 24 local youth. 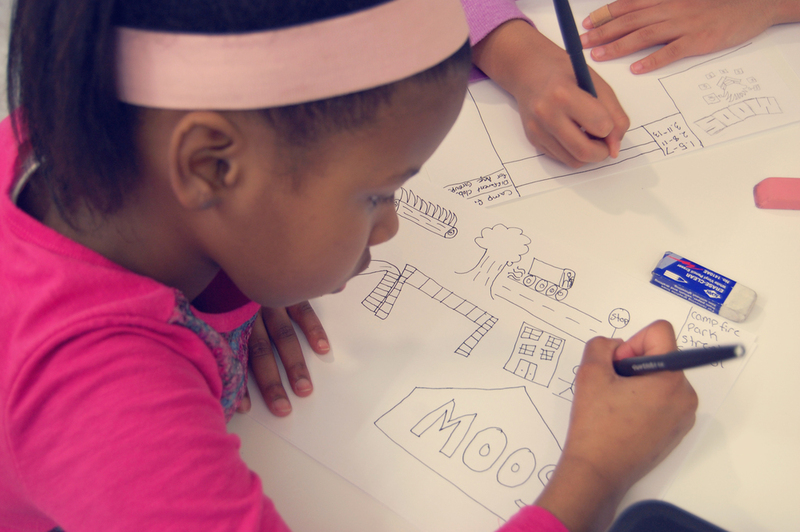 Through hands-on after-school workshops, students will continue to work closely with neighbors, local businesses and employees, and design professionals to build a range of public space improvements. This year, our focus area will expand outward from open spaces surrounding the St. Luke’s campus to create designs for commercial corridors throughout the neighborhood. Making Our Own Space @ Buckeye is made possible through the generous support of the Saint Luke's Foundation. D'Angelo Knuckles, Buckeye neighborhood community leader and founder of weekly live Internet show, "Real Talk with Mr. Knuckles"